Introduction: Walking the dog is a popular technique that can be a very effective when properly employed, but for many anglers walking the dog with the right fish enticing cadence can be a challenge. 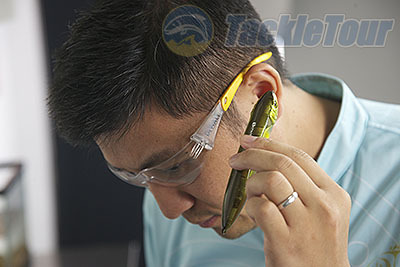 Jackall makes it easier by including design elements within their "Bowstick" that makes it possible for both W.T.D. newbies and veterans those just getting started with this technique to enjoy some heart pounding topwater success. 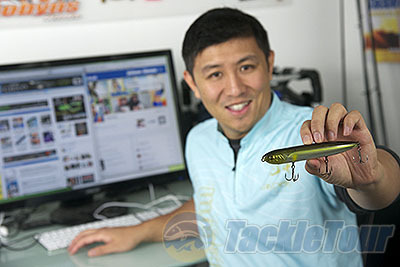 We take a closer look at the design of this bait in our latest TT Autopsy installment to see how the Jackall Bowstick 130 stands apart from traditional plastic hollow bodied topwater baits. At first glance the Bowstick features a familiar cigar shaped profile to all those other options and is 5.2 inches in length and weighs in at 1oz. 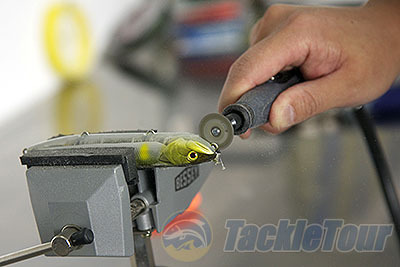 The Bowstick is designed with a rattle that seems click back and forth when the bait is moved from side to side. 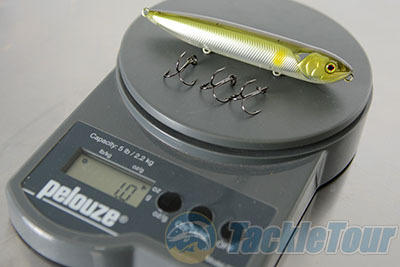 While this system creates a loud overall sound it isn't as high pitched as some competing baits. 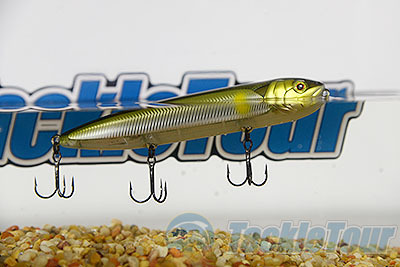 The bait also features a very detailed finish all the way down to the paint patterns, which is exactly what we have come to expect from Jackall. The most noticeable physical difference between the Bowstick and the competition is a hollow gill tunnel positioned right behind the bait's 3D gills. This tunnel extends through the entire bait and when put in the water actually sits above the surface line, so just what does this implementation accomplish? First things first, the fact that the bait sits tail downwards is important, and a very intentional design element. By sitting lower in the water the rear section creates additional drag, helping angle the bait into the proper walk the dog motion with each twitch of the rod.